These brand new condos will leave you speechless. Experience the best the of the Shenandoah Valley with low maintenance living and stunning mountain views. 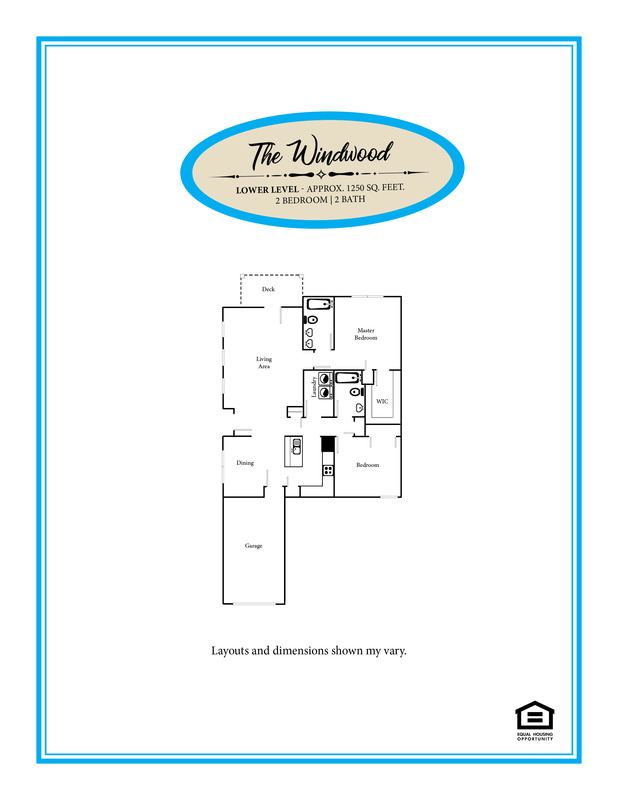 The open concept floor plan offers a dining area, large living room, and spacious laundry room. The master bedroom has a dedicated master bath and huge walk-in closet, while an additional bedroom and full bath make this floor plan both functional and easy flowing. The many windows offer ample natural lighting and closet space has been built into several areas. Also, with a rocking chair front porch, back deck, and one car attached garage, you’ll find plenty of room to enjoy the outdoors as well. The Windgate Condos sit in a quiet, convenient location very close to I-81 and I-64. This makes commutes to Charlottesville, Harrisonburg, Roanoke, and Richmond very easy. In addition, Augusta Health Hospital is only about two miles away. Area attractions include downtown districts, a community library, plenty of restaurants, shopping areas, and parks. With an owner’s association handling water and sewer, trash pickup, lawn care, and snow removal, you can take full advantage of low maintenance living. Captivating mountain views can be seen from the sidewalks of the community. In addition, many of the units offer an even more spectacular view from their deck or patio and living areas. Large windows take full advantage of these mountain views and provide plenty of natural light. These new condos are for rent or for purchase. The rental price is $1,395/month and the sales price is $243,900, we are also offering an owner financing program to help those who wish to own their own home! Contact Florin Breeden today for more information on this great opportunity.